Like many fathers, when my son was born, I had a list of things that I wanted to teach him. I wanted to be the sage, the guru that imparted to him wisdom drawn from my life experiences. I looked forward to the opportunity of leaving him feeling like his old man was a fountain of knowledge for all things. I longed for the bond that the transfer of knowledge would create between us. How do I throw a ball? How do I tell a joke? How do I ride a bike? How do I catch a fish? How do I program a computer? How do I ask a girl out on a date? But after he was diagnosed with epilepsy, I began to fear the questions that I knew he would eventually ask. I went from wanting to be the person he went to for answers to the person afraid to disappoint him when he asked questions for which I didn’t have an answer. How do I live with epilepsy? These questions may be the biggest questions that he will ever ask because they are the biggest questions that I have ever asked. I’m also on a search for answers, but I don’t think I’ll have them before he poses the questions to me because not every question has an answer. We may never know why this is happening to him, but it is clear that this is our path. We may never know if it will go away, but we know that is here now. And we may not know how to live with epilepsy down the road, but we are doing the best we can today. Rarely does life go according to plan, but we are facing a life that can’t be planned. How my son is each morning, depending on seizures and side effects, determines what we can expect from the day ahead. It’s impossible to predict anything in the future when you can’t predict the next day. In the beginning, this uncertainty shut us down. 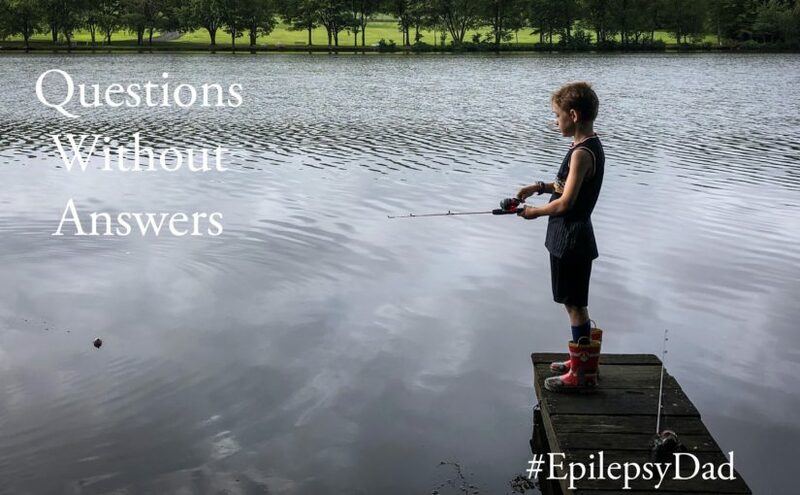 I’m not sure it could have gone differently when my son was first diagnosed with epilepsy because we were fighting for his life. But even after he was stable, we were consumed with finding answers. After four years, it has become clear that there aren’t going to be any. But instead of letting that pull us back into hopelessness, we’re trying to allow it fill us with gratitude for what we do have. Because we have today, and for a time we didn’t think that we would even have that. I went into fatherhood expecting to show my son the things he needed to know. But maybe the most important thing I can show him is how to live without having all the answers.